Before, when I saw a castaway having a bad time, literally dying for a drink but surrounded by seawater, the message in films was always ‘whatever happens, never start drinking seawater. If you were to do so, perhaps you’d feel a bit better, a bit less thirsty, but it wouldn’t be long before you were dead. In films nobody explained the reason for this warning, but neither did anyone doubt it was true. Imagine that you’re drifting on a piece of wood in the middle of the ocean. Your mouth is dry. You are totally surrounded by seawater. The sea is the most amazing blue… Sometimes the sea seems to be a greenish colour and that’s because of the tiny bits of seaweed which make up the phytoplankton which is also green, as are all plants that perform photosynthesis… But then you can’t stand it anymore, you give in and start drinking sea water. 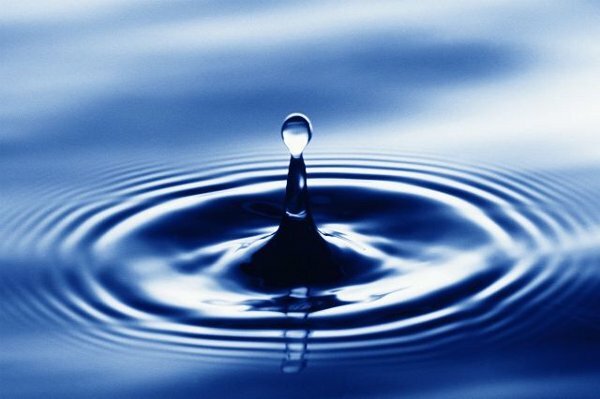 Seawater makes up 97.3 % of the Earth’s water so only 2.7% is fresh water. You convince yourself that there can’t be so much poison in the world, but there is. Our kidneys are the filters that separate the waste material in the blood and this waste is then stored in the form of urine in the bladder, ready to be expulsed from the body. A kidney cannot make urine from a concentration of salts of more than 2%. Seawater is made up of approximately 3% salt, so if we drink it to quench our thirst the kidneys have to use existing water from our body in order to dilute the extra salt, which in turn makes us feel even thirstier. This is due to the osmosis process where the kidneys can only generate urine which is less salty than the water we drink. Consequently, the body tends to urinate more to be able to eliminate the excess of salt but instead of elimination, the result is the formation of more salt as the urine obtained is always less salty than the original. The body would have to expulse more liquid than the amount drunk, which is impossible and that’s why the effect of drinking water from the sea is, paradoxically, dehydration. Seawater contains three percent salt. This means that if we drink a litre our kidneys would need at least one and a half litres of fresh water to dilute all the salt, so this means that they would be forced to extract an extra half a litre from our body. WHICH IS BEST, DIE OF THIRST OR DRINK SEAWATER? This is the interesting part. In 1952 a Doctor named Alain Bombard made experiment called “Voluntary Castaway” and deliberately drifted across the Atlantic for 65 days in a dinghy with no provisions. He demonstrated that should you find yourself at high sea and it’s been a few days since it last rained, maybe it would be possible to drink small doses of seawater: Just one spoon of seawater at 20 minute intervals, drinking very slowly and letting the saliva in your mouth reduce the saline in the water you have swallowed. However it is known that Dr. Bombard had cheated by sneaking provisions aboard.